I. I spent the weekend lazing around my family’s home in Lake Tahoe, which meant evenings spent by the fire poring over design magazines, alternating between Californication and Nashville (addicted is too weak a word), and indulging in delicious comfort food. Realizing that I hadn’t made my version of Neiman Marcus Chili Blanco in ages, I immediately drove to the grocery store to gather ingredients. 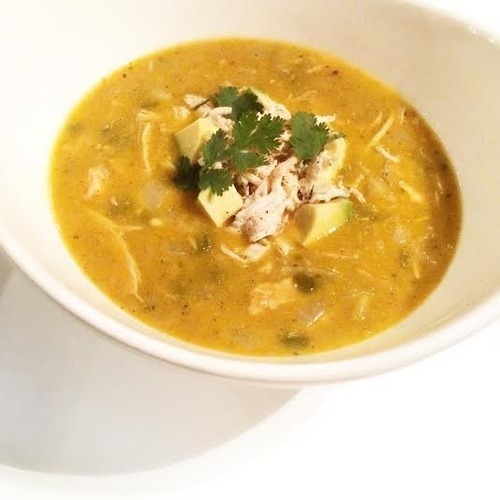 The recipe comes together easily in one pot (even easier if you use rotisserie chicken). Diced mild green chilis, jalapenos, white beans, yellow onion, and Monterey Jack cheese marry to create the best chili I’ve ever tasted. Serve with corn muffins and salted honey butter for the perfect cold-weather meal. II. October came and went so fast this year that I never found time to partake in pumpkin carving festivities. Determined to find use for the autumnal produce post-Halloween, I decided to pair oversized white and gray pumpkins with tulips and privet as centerpieces. 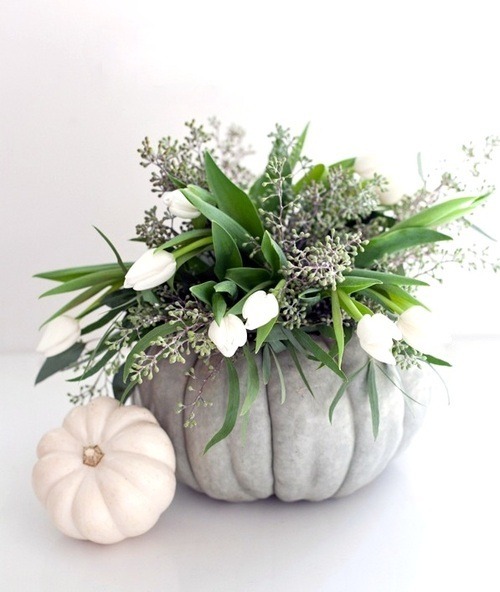 To assemble: find a large pumpkin, cut a circle in the top and remove the insides (as though you were carving it), then place a small inexpensive vase in the pumpkin, and fill with a bouquet of your favorite flowers. III. Continuing my affaire de coeur with all things gold, I’m currently obsessed with Jonathan Adler’s Carnaby Zebra Stacking Dish Collection. I’ve seen the piece floating around Instagram posts and in friends’ homes, but I didn’t truly grasp how beautiful the tiny metallic plate is until I ordered one on a whim. 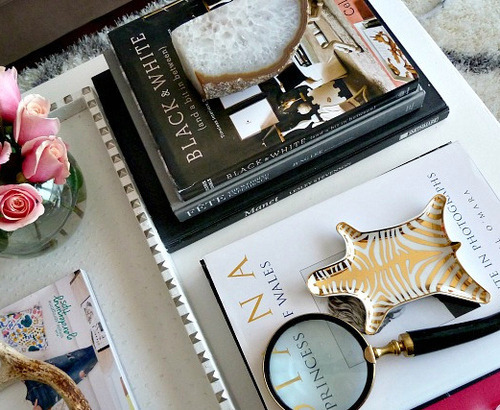 Whether you put the zebra to use on your nightstand for jewelry or on your coffee table as a objet, you’ll feel bubbly inside every time you catch a glimpse of the little guy. Just in case you aren’t convinced, Horchow is offering 30% off the dish until the 12th! IV. There is nothing quite as blissful as the feeling you get when an unexpected flower delivery arrives at your door. That said, once in a while I like to mix up my gifts to friends by ditching the fleurs while retaining the element of surprise. Enter Packed Party. The genius company curated boxes filled with goodies to fit eight different occasions: birthday, pity party, bridesmaid, congratulations, missing you, pampering you, and (my favorite) the aptly titled “You Don’t Need Him Anyway” breakup box. 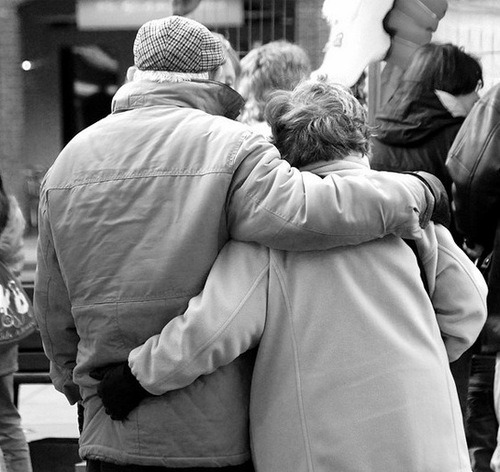 At $45/package, this is the ideal alternative when you want to send someone special a surprise. V. While flipping through The Atlantic in my doctor’s waiting room, I came to an article about the science of lasting relationships. Intrigued, though with low expectations, I kept reading. Motivated by the oft-cited fact that most marriages fail (and many of those that last are toxic) psychologist John Gottman spent the past four decades studying married couples. Gottman used labs guised as bed and breakfasts to observe interactions, and hooked partners up to electrodes to measure blood flow/heart-rate/sweat while each person answered questions about the relationship. The data collected showed that people fell into one of two categories: Masters or Disasters. What’s interesting is that couples exhibiting Disaster qualities were divorced or separated when Gottman checked in on them six-years later, while Masters were still happily together. Take a look at the article for more insight on what it takes to find (and keep) happily ever after.